Debbie A. Damron, 55 years of age, passed away tragically due to an automobile accident Saturday, November 10, 2018. 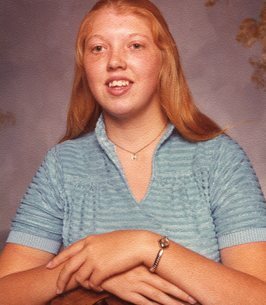 Debbie was a 1981 graduate of Greenfield McClain High School. She worked at Hillsboro McDonalds for 20 years and recently started working at Candle-Lite and Wendy’s. Debbie survived by her daughter Stacey (Robert Jr.) Woodruff of Hillsboro, Ohio, grandchildren, Welldee Oliver, Hunter Owen, Robert Lee III and Edge Christian Woodruff, mother, Wilma Damron of Hillsboro, Ohio, brother, Vern “Bud” (Candy) Damron of Columbus, Ohio, and sisters, Maggie (Rudy Loftis) Whitely of Stannton, Ohio and Bonnie Damron of Greenfield, Ohio and life long friend George Tipton. Celebration of Life will be 3:00 P.M. on Saturday, November 17, 2018 at the Thompson Funeral Home in Hillsboro, Ohio. Burial will follow at the Gilboa Cemetery. Gathering of family and friends will be from 1:00 P.M to the time of service at the Thompson Funeral Home. To send flowers to the family of Debbie A. Damron, please visit our Heartfelt Sympathies Store. We encourage you to share any memorable photos or stories about Debbie. All tributes placed on and purchased through this memorial website will remain on in perpetuity for future generations. I have known Debbie for many years and I think the thing I will remember most is her smile. Every time we ran into each other we would stop and catch up and she always talked about her family especially her grandchildren. My prayers go out to her family, she will be missed. Nothing in this world can replace the person u are. Debbie fly high and spread your wings. Its still not registered that debbie is gone. It's been 2 years since I last saw her in person. However, when I did see her, we could talk for hours. Never a dull moment, she was always smiling no matter what she felt on the inside. She loved her family unconditionally and especially her daddy. She always talked of her dad, alot. She always put others first and her needs always waited. Debbie, stacey and bonnie, you all stay strong.I hope she went peacefully without pain. Continued prayers for stacey and her boys. I love you, stacey! Hugs. I worked with Debbie, she was a very kind hearted lady always smiling and would give you the shirt off her back, god gained an amazing angel! I will miss you Debbie and we will meet again. I only knew Debbie from McDonald's. She was her own person, for sure, but enjoyed life and visiting with the patrons, especially the regulars. She loved teasing and could take it as well as dish it out. I was so sorry to learn of her tragic passing last Sunday morning. May God comfort the family as you mourn your loss.